We will re-open in June 2019. Stop by for some apple cider donuts, and a variety of frosted vanilla donuts. ​coffee and many gift items! We make our donuts fresh each morning at Dittmar Orchard Station with this donut robot. Check out how it works! 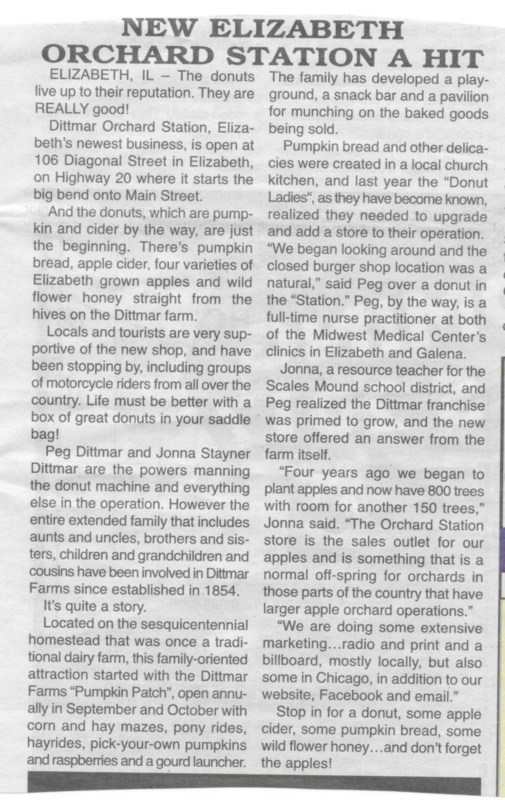 Check out the article about Dittmar Orchard Station in the TH on 6/18/18. 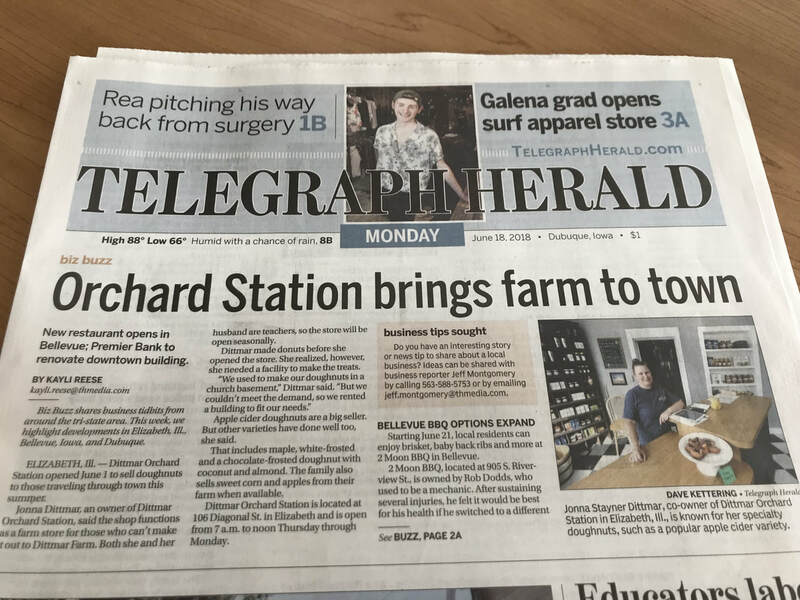 Check out this article on our new location from Fall 2017.